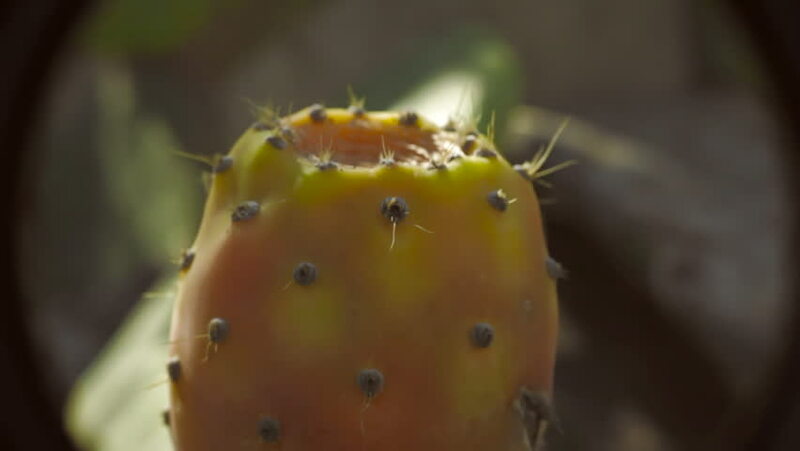 A prickly pear (opuntia ficus indica) fruit on the tree. Close-up shot. hd00:08Scoop pieces of Green Kiwi with a spoon. Frozen Yoghurt / Ice cream Toppings. hd00:11Dolichopus on leaf and green blur background. hd00:14Asian beetle on green leaf.